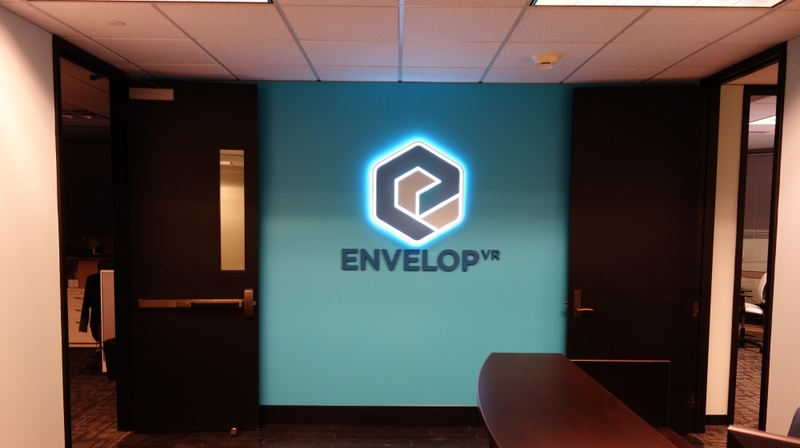 Worked with a virtual reality startup to create a lit, interior sign. 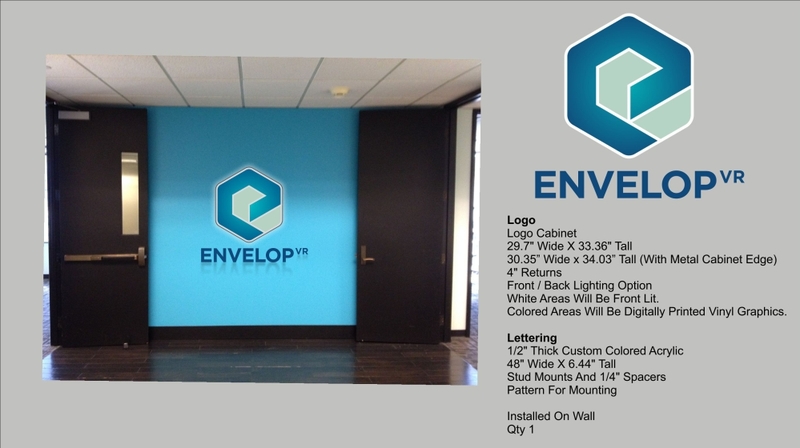 The complete logo was supplied, and initially my only task was to size the sign out on the wall and settle on a size the customer liked. 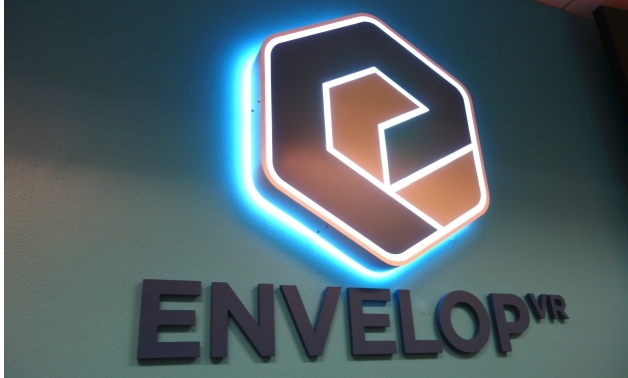 As the project progressed however, an issue arose where the painted letters did not match the illuminated blue on the sign above. 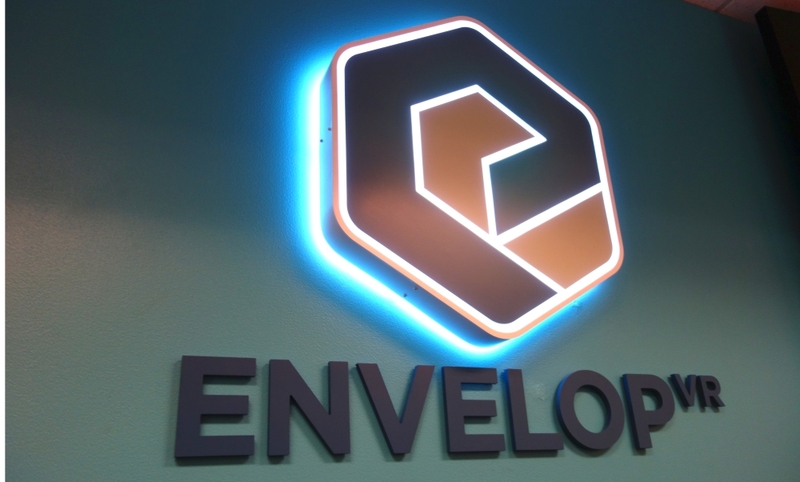 I worked with our electrical contractor, was sent a sample of the blue, and used a light table to match a PMS color to supply to the fabricator of the letters.